Songs for harmonica are typically notated as tablature (tabs). Most harmonica music is laid out simply. Since a lot of harmonica players either play by ear or using music written in simple tablature, it may be necessary for you to convert standard music notation to harmonica tablature. Converting music notes to harmonica tablature isn't difficult if you understand the basic principles of how harmonica tabs are notated. 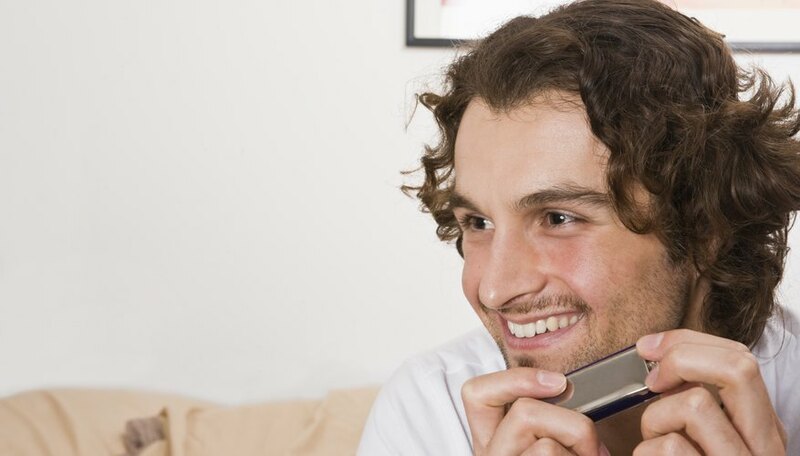 Familiarize yourself with the notes of a harmonica if you aren't already familiar with them. You'll need to know this in order to convert standard music notation to harmonica tablature. Draw a horizontal line on a piece of paper. You don't need special music paper to do this. The line will represent the harmonica. Above the line are the blow holes, below the line are the draw holes. Write the numbers 1 through 10 above your harmonica chart to indicate the hole numbers. You can find a chart online at Harmonicatunes.com, free of charge, that will show you the blow and draw notes on a harmonica. The notes will be different depending upon the harmonica you're converting notes for. Look at the notes you want to convert. Since you're converting for a harmonica, keep the conversion simple. You want to keep chords down to two or three notes. If possible, convert the music's melody for the harmonica. If you have a C note in standard notation and you want to convert it to a harmonica tab, place a dark circle above the line you drew at hole number one. You can add a tail to the circle to indicate a quarter note or eighth note the same way you do in standard music notation. Continue to convert the notes in this way throughout. Indicate a bent note by adding a small curved line above or below the note. For notes held out, follow it by a line that lasts until you write the next note. What Is the Difference Between a Diatonic & Chromatic Harmonica?